HOTEL MANAGEMENT MAGAZINE ENDORSES OUR BEAUTIFUL AUSTRALIAN ABORIGINAL CERAMIC WALL TILES AS A DESIGN TREND FOR HOSPITALITY INTERIORS. Hotel Management featured our My Country ceramic wall tiles in its review of design trends for public interior space design. As expertly crafted translations of original Australian Aboriginal art work, our My Country ceramic wall tiles were created in collaboration with the expertise of Johnson Tiles 's Artiles service. 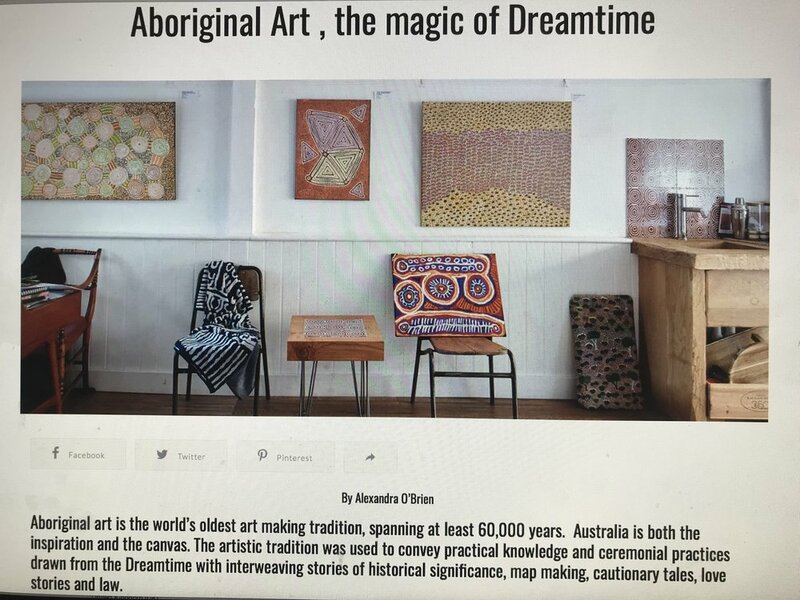 One of the three interiors surfaces ranges (wallpapers, rugs and ceramic wall tiles), the collection is entitled My Country, a reference to the Aboriginal philosophy and creative process, whereby all of creation is in relationship, at onewiththeland. The original artworks' particular provenance and symbols - inspired by mapping myths, rituals and sacred topography - results in a compelling, versatile aesthetic with a most subtle compositional depthof field, imbuing spaces with wider horizons of the imagination. Featuring art by Aboriginal artists Geraldine Nangala Gallagher and Sarah Napurrula White, both from Yuendumu in Australia’s Northern Territory, My Country marks the first time that this aesthetic has been reproduced onto ceramic tiles. Each image and colour holds special meaning and spiritual importance to the Aboriginal people and culture. Johnson Tiles used traditional lithography techniques combined with high-res scanning process to accurately match every detail and color of the artists’ paintings. The beauty and quality of our tiles reflect their origins of indigenous creative process and high-quality materials and manufacturing skill.